There aren’t many things we get more excited about here than welcoming new Flywheelers to the team! 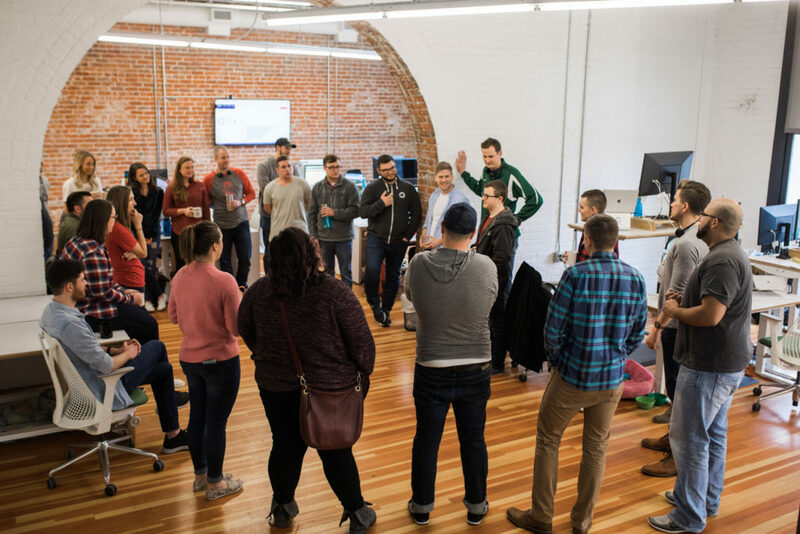 Luckily for us, New Hire Week happens just about every month as we’re growing faster than ever. But while it’s a regular event, it’s no regular training program. There’s a ton that goes into making our onboarding exceptional! When a new Flywheeler arrives on their first day, they’re greeted by their Buddy – the person hand-picked to welcome them, answer questions, and fill in any gaps that training may miss. 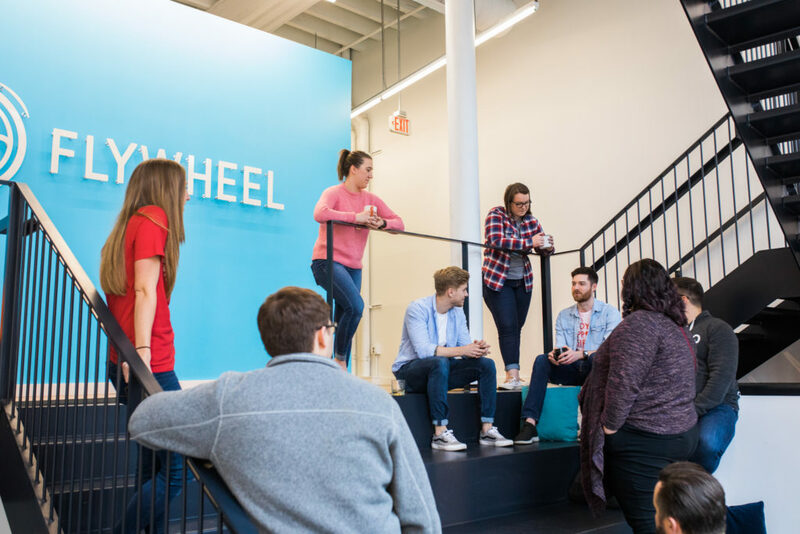 From there, they take an office tour to say hi to every single person at Flywheel! 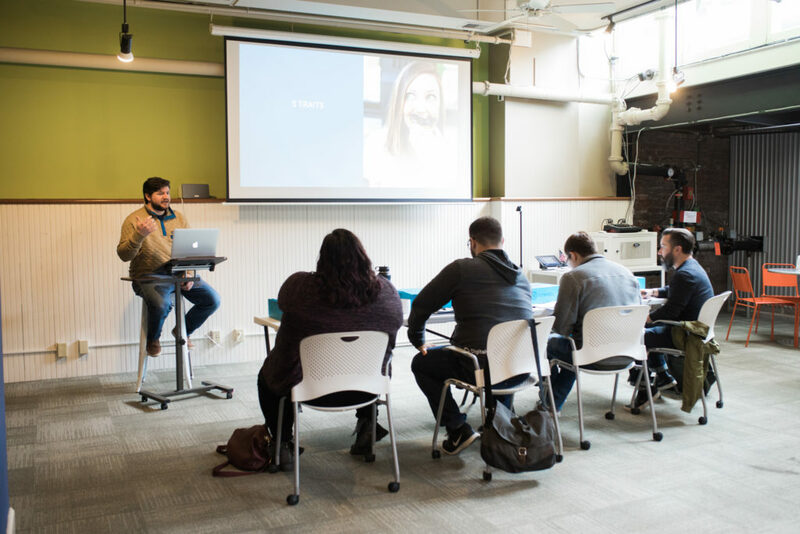 (We even do a video call with our remote teams so they can “meet” the newbies, too.) Don’t worry – no one’s expected to remember everyone’s name! But it turns out, visiting each of our teams in their unique workspaces makes recalling who’s who and who does what much easier. Next, new hires open their custom swag boxes! 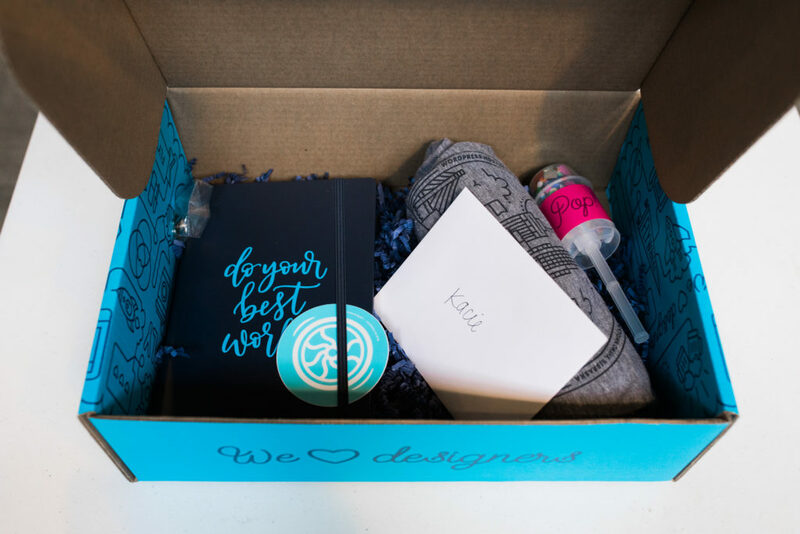 These welcome gifts are filled with Flywheel goodies like t-shirts, sunglasses, confetti poppers, pins, stickers, and a handwritten card. It’s our way of showing them how stoked we are that they’re here, but also to help them look and feel like a Flywheeler right off the bat! Whether you’re hired to be the CFO or an intern, every new employee goes through the same first week of training. 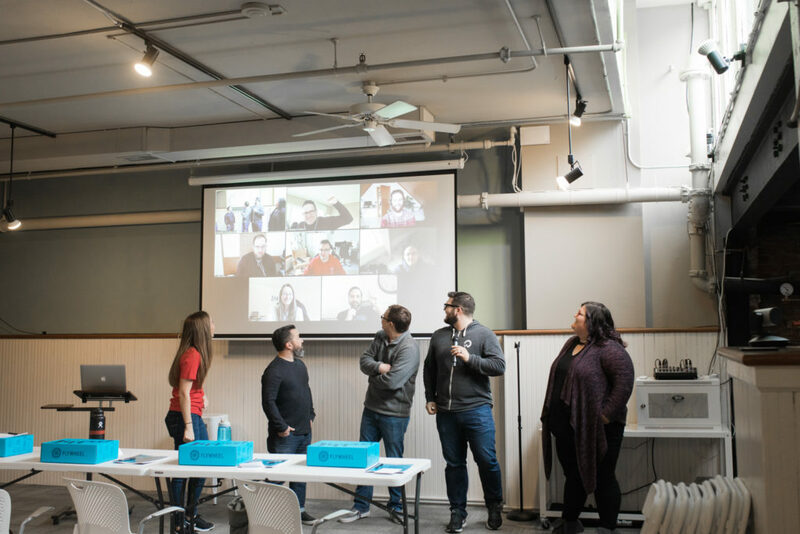 They get immersed in Flywheel culture and vision for four full days while soaking up tons of knowledge about our products, customers, and generally how we get our jobs done. New hires spend the first two hours of training learning from our CEO, Dusty. He kicks things off with talks on Flywheel history, values, and our current state of the union (think financials and goals). After that, new hires get to hear from a variety of voices during New Hire Week! 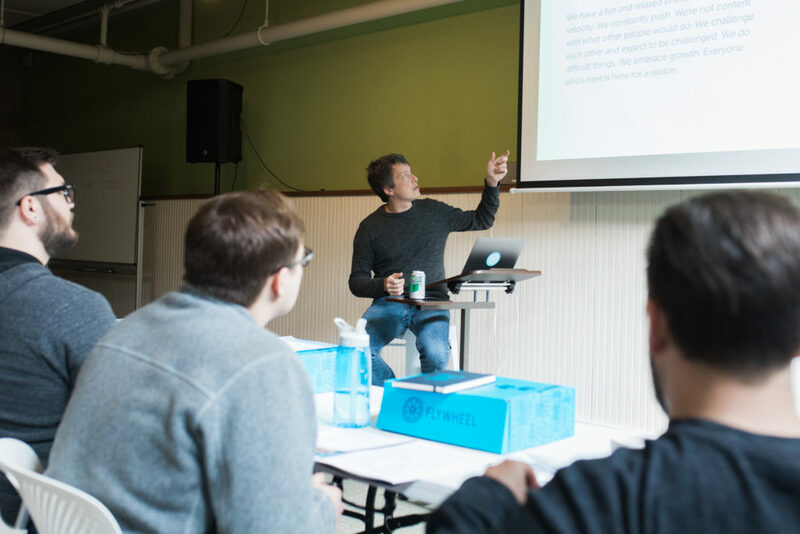 All three of Flywheel’s co-founders, our department heads, and a handful of subject matter experts teach classes. 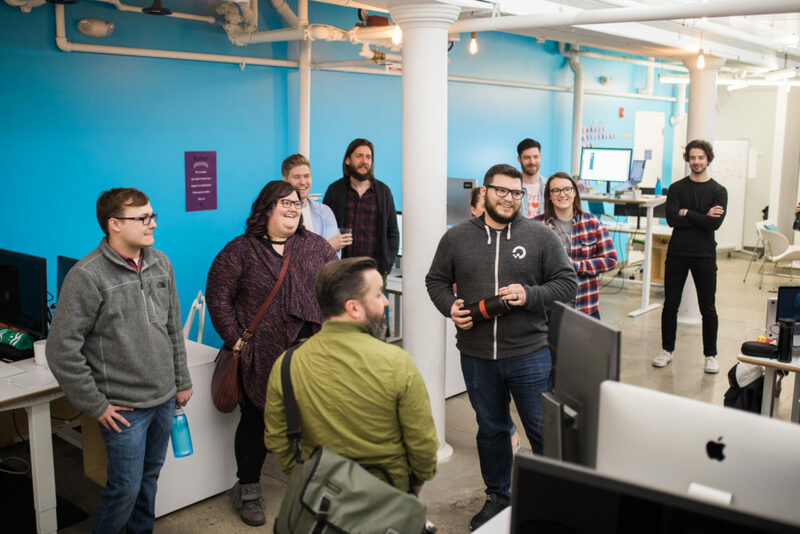 We think hearing from leadership in the first week makes a positive statement to new Flywheelers: Everyone’s accessible here (no matter what their title is!) and we are excellent to each other (one of our seven core values)! 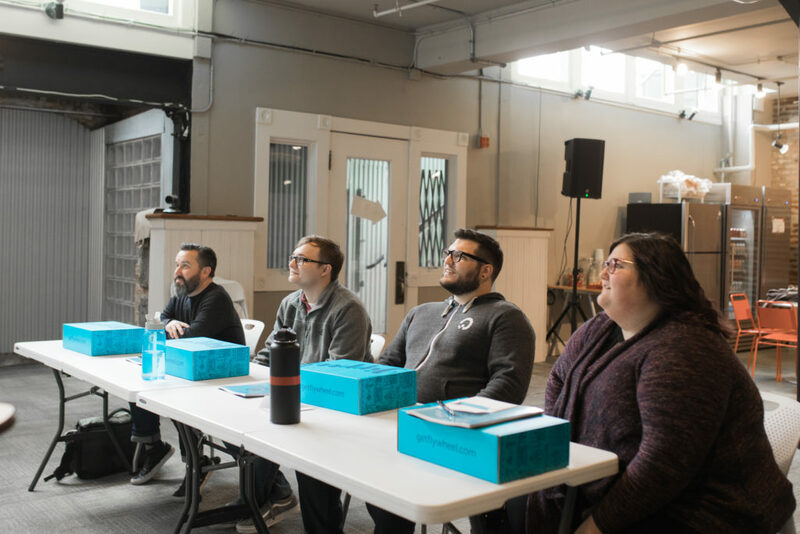 We often describe those four days as “drinking from a firehose, by design.” We intentionally jam-pack the schedule to make the most of having all of our new hires in the same room for their first week before diving into job-specific training in week two and beyond! 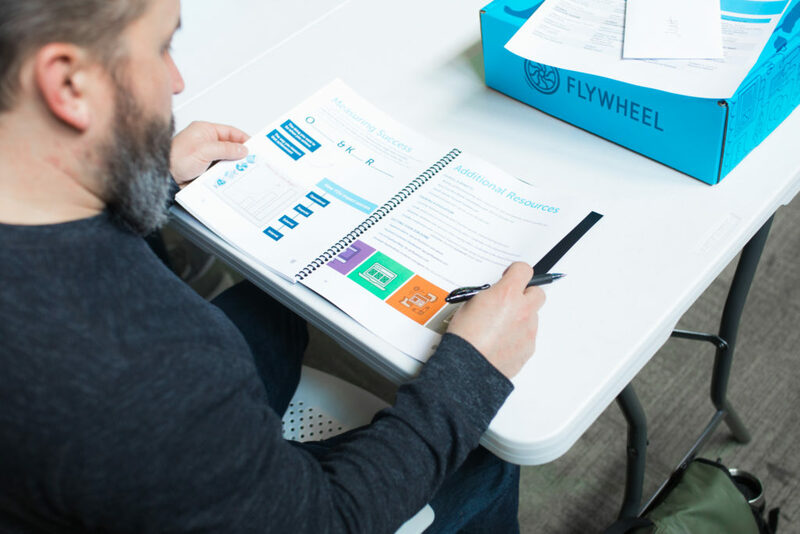 By the end of the week, everyone’s speaking the same language because they know where Flywheel’s been and where we’re going (and how they fit into that!). This consistency across hiring groups makes sure all employees start out with the knowledge and resources they need to be stakeholders on their team. We’re a work in progress, so we constantly iterate and improve on New Hire Week based on feedback from the newbies themselves. We make purposeful changes every single time to ensure it’s even more spectacular for the next round of Flywheelers! It’s a big investment, but so worth it. If you’re on the fence about incorporating formal training into your team’s first week, trust us. The intentionality will make your new employees feel a stronger sense of belonging and get them up to speed quicker in their roles!